Join Sage as she shares her story, struggles and joys about raising an autistic child. Learn tips on raising your special needs child, regardless of the needs. Including, information on how to go through the Appeals process, your rights as a Parent and what to do to prepare for your next IEP meeting. This book is a must read for parents of newly diagnosed children. It is also a helpful read for parents of children who are trying to gain access to better services for their children. 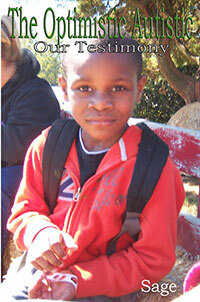 Are you interested in purchasing your own copy of The Optimistic Autistic?